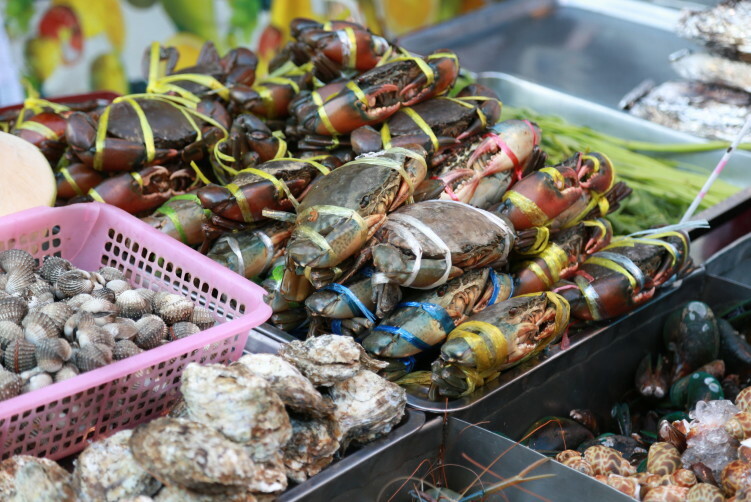 T&K Seafood have for more than 10 years been recommended by Lonely Planet when you’re in for some serious seafood in Bangkoks’ Chinatown. What a lie it is. It’s one of my worst seafood meals ever, and I’m not just talking about Bangkok. It’s just the biggest tourist trap in the city when it comes to what to eat. 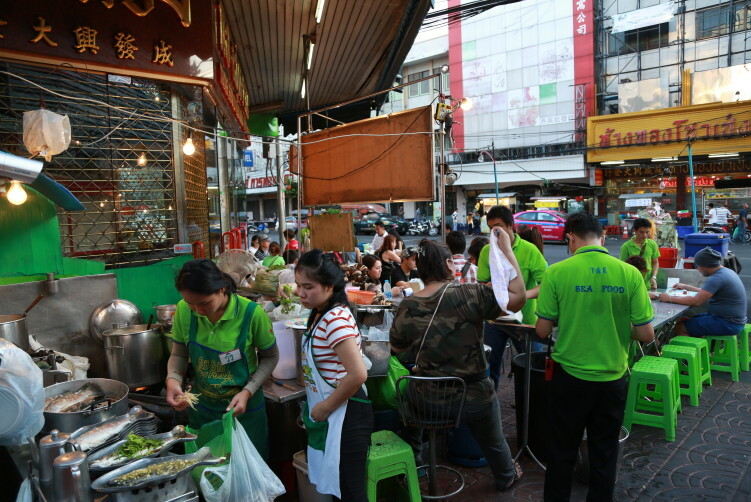 Normally I only write about street stalls and restos’ in Bangkok that are worth a visit, that has some kind of quality that makes it worth a visit. I decided to make an exception today. The hordes of tourist cuing up in front of T&K Seafood every day really needs to be warned. Judged from what they served me it’s nothing more than a classic tourist trap. It gets 4 out of 5 stars on Tripadviser. That can be excused, as everybody knows the rating is not even close to reality. But Lonely Planet is also praising T&K Seafood. Thats a lot more difficult to explain. If what I was served is the standards they are happy with, they haven’t really tasted good seafood and I can only judge from my own visit. The T&K have plenty of seafood on the menu, but as a stomach has it’s natural limits when it comes to quantity, I decided to test two dishes that I know really well and that demands some skills from the cooks to get the flavors through to your palate. 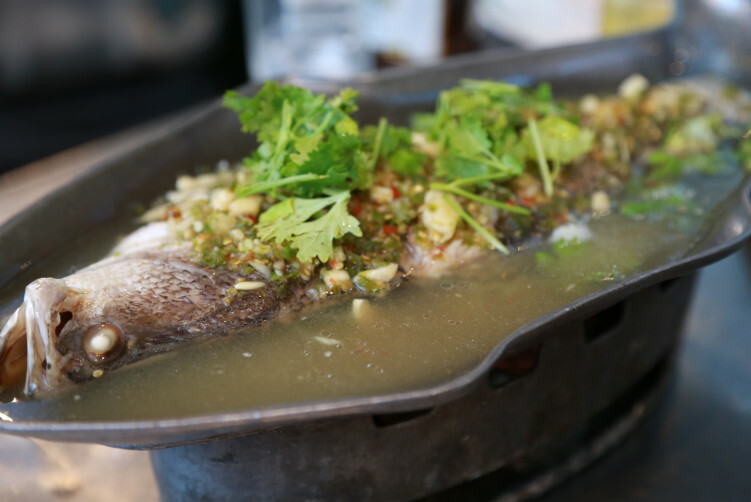 I picked the sea bass cooked in chili, garlic and lime and also a bowl of tom yam kung, the famous Thai shrimp soup. With both of them the cook has a job to do in balancing the ingredients and tastes. The tom yam with shrimps and squid was the first nightmare of the evening. It was most of all just sweet. And it wasn’t like they just cut the top of the spiciness to adopt to a tourists palate not used to chili. It was almost tasteless and had absolutely no balance between spiciness and the acidity that’s the key to make a proper tom yam. The shrimps and the squid in the soup was actually quite ok in itself and didn’t look to bad, but the overall taste together with the stock, I just couldn’t eat it. The fish was the next nightmare as it was completely overcooked when it arrived at my table. It might have been fresh at some point, but difficult to say, it was just dry and unpleasant to eat. And the broth the fish has been cooked in, that includes chili, garlic and lime tasted like dishwashing water. Absolutely terrible. The T&K is, in my view, really just a hype that lives on. It might have been a good resto some years ago, but it certainly isn’t today. Maybe they can bbq some shrimps, a langoustine or some squid. I don’t know, and I really dont feel tempted to find out after my visit some weeks ago. But what I know is that they can’t cook fish and they can’t make a proper tom yam kung. And I don’t think I was just unlucky, the person preparing the fish and the soup just couldn’t cook. I took the opportunity to ask my neighbors on the closest two tables that was eating some of the other dishes what they thought about the food. They were all shaking their heads and smiled a bit embarrassed, like why did we end up here. One of them said, it’s ok, it’s food. I’m not sure I agree with that. Even a hungry cat would have left that fish in the street and walked on for something better, like I did. How Lonely Planet can continue to recommend T&K Seafood is a puzzle to me. They have feeded travelers with good tips for many years, but when this is what they recommend to their readers, the readers needs to be warned. T&K Seafood is bad quality and terrible overpriced considering the quality. Not strange at all that you don’t see any locals coming here. They are smart enough to stay away, and that is not because of the prices. buy now Address: 458 Yaowarat Road. 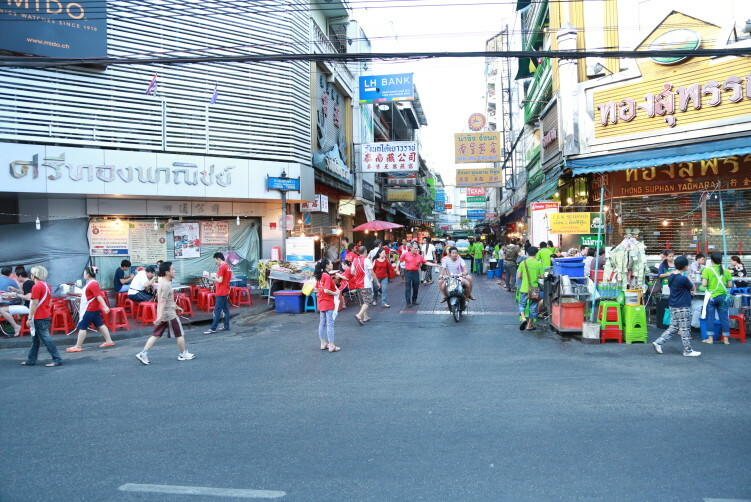 On the corner of Yaowarat Road and Phadung Dao Raod. How to get there: Just don’t go, but if you have to: It’s basically at the heart of Bangkok’s Chinatown. Take the Metro to Hua Lamphong and walk (8-10 minutes) or take a taxi from there to Yaowarat Road. Hi Caroline, Sorry for late answer. The best one I have had was at Tang Jai Yoo at 85-89 Yaowa Phanit Road/Yaowarat Road. Sornthong Pochana at 2829-31 Rama IV Rd is another good option. The tourist spots is very seldom a good idea if you’re in for fish. I am glad you posted this because I got caught in this tourist trap a few years ago. This place was recommended by Mark Wiens from Migrationology. I love the dish of sea bass with garlic and lime and this was the main dish I wanted to eat at T&K but what arrived was an overcooked fish doused in sauce- I was sure it was a previously cooked fish that had just been reheated to order. I cannot tell you how diappointed I was. 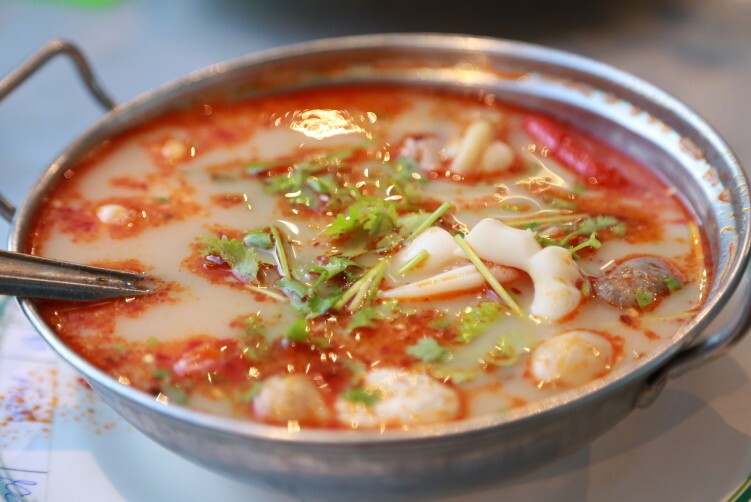 I would be interested to know which restaurant you recommend for pla kapung neung manao?